How do Manley Construction specialise for the Irish construction sector? 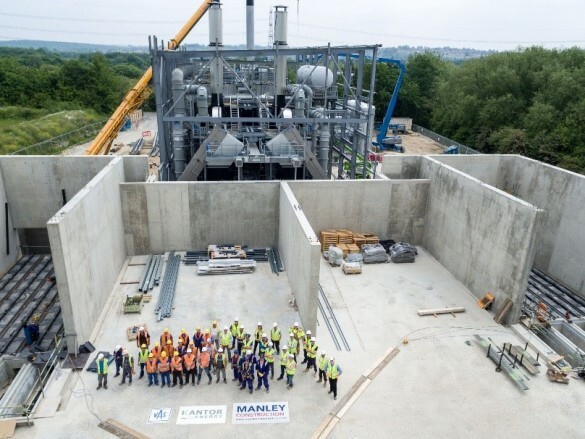 Working across the public and private sector, Manley Construction are an award-winning medium-sized Main Contractor, operating nationally in both Ireland and the UK. 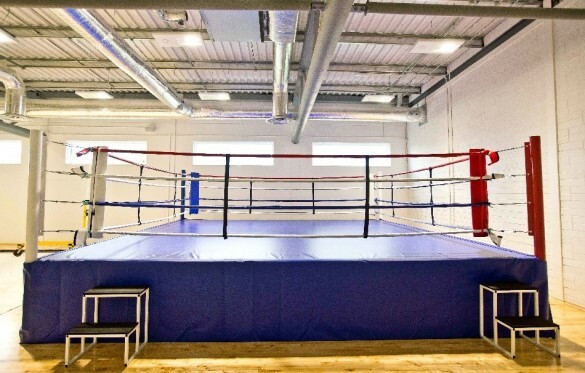 We have been in business over 30 years and have through our experience delivered numerous prestigious projects over a vast array of sectors including Commercial, Retail, Industrial, Healthcare, Educational, Leisure and Residential. What makes Manley Construction unique? What are the challenges facing your industry? There are many challenges facing the construction industry. We are still unsure of the repercussions and effects that BREXIT will have, indeed this could be a huge opportunity with FDI companies coming to Ireland. Currently the rising costs of labour and material will always impact on pricing works, having the lowest costs in construction is a challenge if you want to offer the best service to your clients. As the market is growing, the changes within the workplace will have an impact on retaining staff. However, creating an enjoyable environment and behaving as an employer of choice should help, along with engaging with your supply chain should both lead to improved business outcomes. 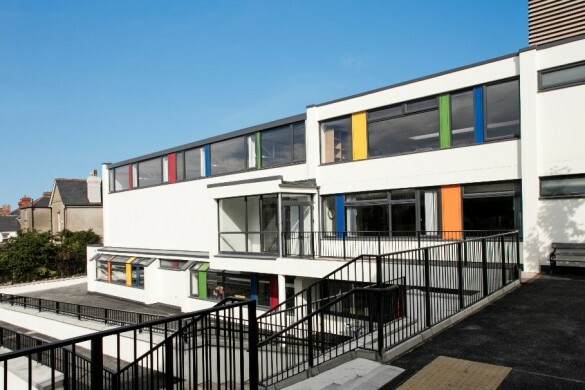 We are currently working on some really exciting projects such as Haddington Road National School, Ratoath College Extension, Franklin House on Pembroke Road, a residential development at Avourwen, Drogheda, Co Louth, Buvinda House which is going to be Meath County Councils new HQ and Nenagh Hospital Extension to name just a few. 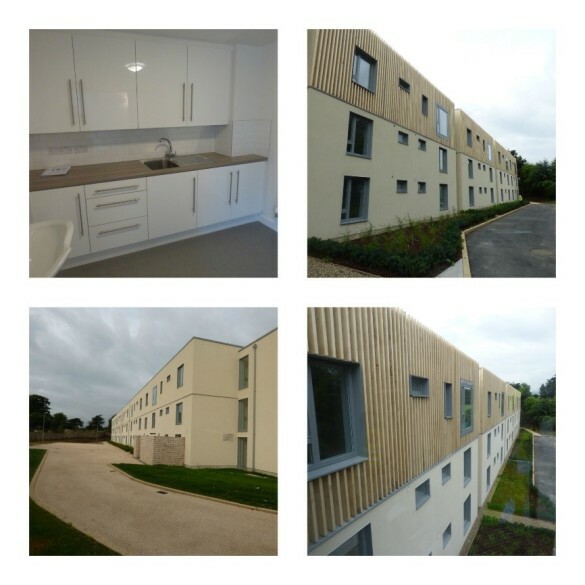 We have recently completed sites such as the Irish Institute of Sports, Warwick University, Scoil Lorcan, St Ita’s Hospital Portrane which included the refurbishment and fit out, as well as 34 houses at Rochestown House which is the largest passive housing scheme in Ireland to date. How optimistic are you going into 2017? The market has shown great improvement and we remain extremely optimistic about 2017 and the opportunities for Manley Construction. We have a fantastic team around us which will drive us on in our strategic plan of becoming the number one medium sized construction company in Ireland, along with having a significant presence within the UK market (North East of England). You’ve recently subscribed to BuildingInfo – has it been beneficial to date? We are finding BuildingInfo really good. It’s very user friendly. I think it’s very up to date and reasonable priced with good back office support. 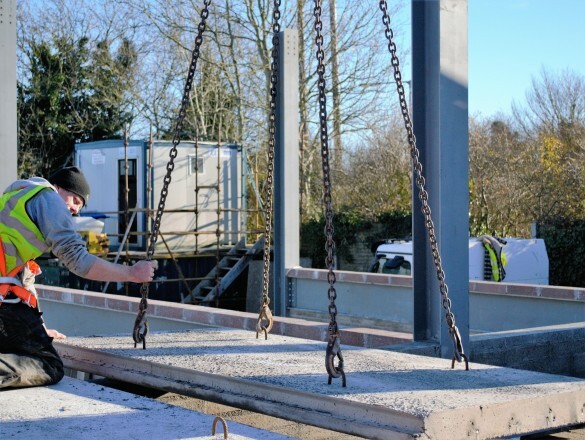 Interview with Peter Booth, Managing Director of Booth Concrete & Booth Precast Products Ltd in Abbeyleix, Co. Laois, one of Ireland’s largest family owned and managed concrete producers. 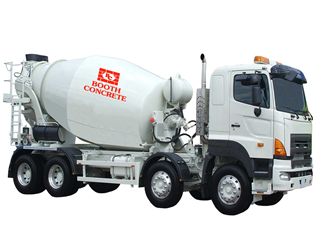 How do Booth Concrete specialise for the Irish Construction sector? 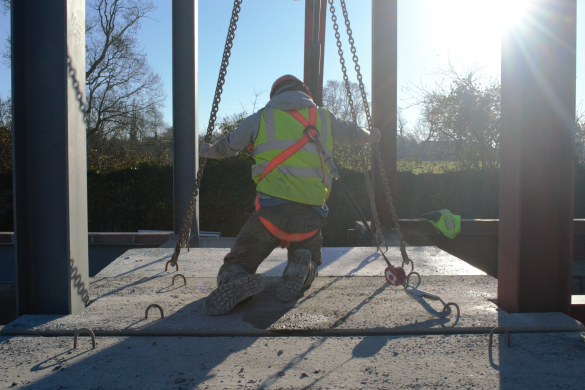 As a well-established concrete & precast company, operating since 1997, we offer a wide range of products to meet the demands of the Irish Construction Industry. 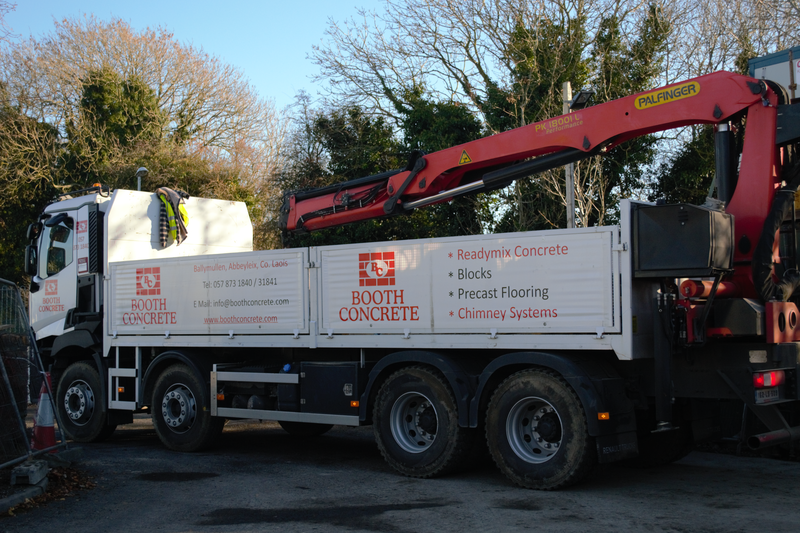 From readymix concrete to sand, from kerb stones to chimney systems, we can cater for any construction project, whether it be commercial or residential. What products of yours are you most proud of? While I am of course proud of all our products, there are two that I am very excited about going forward. Our fully insulated precast flooring system is going extremely well. It is a fantastic product having many advantages over the traditional timber joists: sound proofing, insulation and perhaps most importantly, fire proofing. Our flooring systems make for a warmer, safer home. However, it is our chimney system that I am most optimistic about. It really is a great product and we are getting great feedback from our customers. We have provided quite substantial housing developments all over the country with our chimney systems and we have many more ordered for 2017. 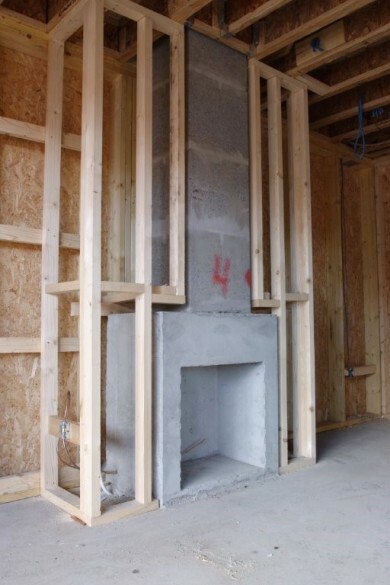 The system is designed to speed up construction especially in timber-frame housing. 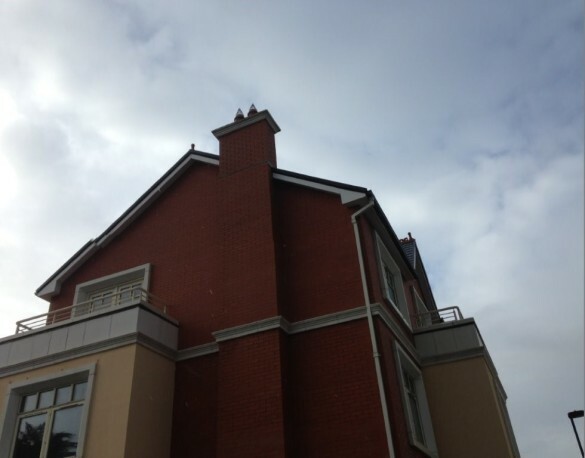 We have worked with companies such as Ballymore Homes, M.A. Ryan and Diamond Homes. The construction industry is emerging from a sustained period of contraction. Where are the growth areas for your business? We have seen a steady rise in activity in all areas to be honest. It is true that growth in the midlands has been considerably slower than that inside Dublin but the signs in the last 12 months are promising. We are providing blocks, concrete and floors for a lot of self-build houses in our locality along with larger developments such as schools and nursing homes. We are currently supplying to Clancy Construction on a new school in Portlaoise. It’s great to see the construction industry flourishing in the midlands once again as I believe it was one of the regions worst hit by the recession. Just like everyone else in the country, we are having to cope with rising insurance premiums. While a lot of the public attention is on private car insurance premiums, I feel that commercial motor insurance is something that our government need to act upon before it becomes too expensive for small businesses to operate. Also, planning laws are making it very difficult to secure natural resources such as sand and gravel. The local authorities don’t appear to appreciate the importance of these resources to the National Development Plan. As I mentioned before we are currently supplying the blocks for a large school in Portlaoise. 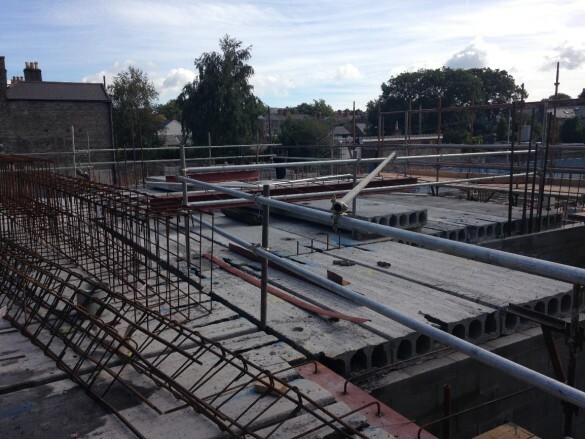 We have also supplied 2 levels of precast flooring to a nursing home in Naas, Co. Kildare and chimney systems to large residential developments in Portmarnock, Waterford, Limerick and Cork. I am very optimistic, especially with our chimney and flooring systems. A lot of interest has been shown and we already have orders for over 100 chimney systems for the first few months of 2017. I also feel that our reputation as providers of top quality concrete products is growing, not only in our locality, but nationwide, and I feel that puts us in a great position going forward. You’ve recently subscribed to Building Info – has it been beneficial to date? It really has. It is great resource for our sales reps. It allows all of us to coordinate with each other, wherever we are in the country. It has great features such as reminders and alerts for commencing projects. It really is a fantastic product. Information is key, and Building Info keeps our sales personnel up to date on what’s going on. This volume of the Building Information Index provides insight and key analysis of activity in the construction industry for the first nine months of 2016. It also provides an invaluable foresight as to what remainder of 2016 and 2017 will bring. I hope you find it informative. In this volume actual activity to the end of September 2016 is compared to the same periods in 2015 and 2014. The analysis takes a close look at the construction industry broken down by region, funding source and sectors; Residential, Commercial & Retail, Medical, Education, Agriculture, Industrial and Social. The total value of Construction Project Commencements grows by €1.46bn (+37%) for the nine months to end of September 2016. The value of construction project Commencements for the first nine months of 2016 has grown by +37% when compared to the same period in 2015. This shows continued growth building on the +44% reported in previous half year index. Year on year comparison for the first nine months showed a growth of 140% when compared to the same period in 2014. Six of the seven sectors examined registered growth. The Industrial sector recorded the largest percentage growth with Commencements up +104% (to€636m) on 2015 figures. Residential, the largest and most significant sector continued with strong growt hof +48% year on year and with the value of Commencements at €2.59bn. The Agricultural sector alone reported a decrease of -5% to €36.6m. The value of construction project Applications rose by 4% to €13.3bn when compared to the first nine months in 2015. This represents an increase of +39% when compared to the same period in 2014. Four sectors reported gains including a marginal gain of 1% for Residential, the largest sector. Gains of 55%,10% and 5% for Commercial/Retail, Industrial and Agricultural while Medical, Education and Social recorded decreases. Planning application for a major redevelopment at Galway Racecourse will be submitted in the coming weeks. 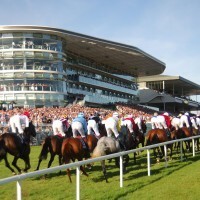 Description: A planning application for a major redevelopment at Galway Racecourse will be submitted in the coming weeks. The board of Horse Racing Ireland is to contribute €2.1 million towards a €6 million redevelopment of the racecourse in Ballybrit. The project involves a substantial redevelopment of the enclosure to the north of the parade ring, under the Racecourse Capital Development Scheme. The existing Tote Ireland building, will also be demolished and replaced with a new structure incorporating a betting hall with bar and food facilities. The two-storey building will feature a large, open-plan betting hall with capacity for up to 550 racegoers on the ground floor, with Tote Ireland betting counters on three sides and a large betting shop on the fourth side. Externally, there will be 46 Tote Ireland betting windows, with the majority facing the racetrack. A modern champagne bar will be positioned on the first floor of the new building with capacity for 450 people. A sizeable portion of both upstairs and downstairs will be dedicated to new toilet facilities. Construction of the new building will begin after the 2017 Summer Festival with a launch date head of the 2018 racing festival. Description: Irish Water has teamed up with Gas Networks Ireland to carry out work on a €25 million plan to bring gas to Wexford. Work on the Wexford Town Gas and Water Project will begin on 12 September. Phase 1 works will run from September until early 2017, with Phase 2 expected to commence mid-2017. Phase 1 of the project will see approximately 14km of gas pipelines constructed within the town. Phase 2 will see building out a further 13km of gas pipelines around the town. 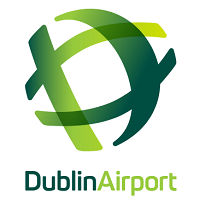 Description: The departures floor in Dublin Airport’s Terminal l is to be replaced as part of the €10 million upgrade project. Parts of the floor have been upgraded several times over the past four decades but in some areas the original tiling laid when the building opened is still in place. Other improvements to the departures floor include new wooden and tile fascia around the walls and the removal of ticket desks to create more light and space. Refurbishment of the arrivals hall includes new flooring, a replacement ceiling, the removal of desks currently situated in some window areas to allow natural light in, and a new look to the front of Terminal 1. When completed, the arrivals hall will be brighter and more spacious. All restaurants will be located in one area while services such as the tourist information office, bus, travel and the information desk will be grouped together, making the floor layout more user-friendly and intuitive for customers. This volume of the Building Information Index provides insight and key analysis of activity in the construction industry for the first six months of 2016. It also provides an invaluable foresight as to what remainder of 2016 and 2017 will bring. I hope you find it informative. In this volume actual activity for the half year to the end of June 2016 is compared to the same periods in 2015 and 2014. The analysis takes a close look at the construction industry broken down by region, funding source and sectors; Residential, Commercial & Retail, Medical, Education, Agriculture, Industrial and Social. The value of construction project Commencements for the first half of 2016 has grown by +44% when compared to the same period in 2015. This shows continued strong growth building on what was reported in previous full year index for 2015. Year on year comparison for the first six months showed a growth of 97% when compared to the same period in 2014. Five of the seven sectors examined registered growth. The Education sector recorded the largest percentage growth with Commencements up +148% (to €218m) on 2015 figures. Residential, the largest and most significant sector continued with strong growth of +61% year on year and with the value of Commencements at €1.67bn. The Agricultural and Social sectors reported a decrease of -28% and -22% respectively. The value of construction project Applications remained static at €8.3bn when compared to the first six months in 2015. This does however represent an increase of +37% when compared to the same period in 2014. The Commercial & Retail and Agricultural sectors reported gains of +73% and +37% respectively, with the remaining sectors reporting marginal decreases. Residential the largest sector, was down -15% on 2015 with total Applications of €3.8bn to the end of June 2016 compared with €4.5bn in to the endof June 2015. Description: University Extension Development Dublin consisting of the extension of the existing Science, Research and Engineering Building at DCU with the construction of a new 4-storey building on a previously constructed podium to accommodate a variety of teaching facilities (2 no. 250 seat tired lecture theaters; 4 no.100 seat, 1 no. 75 seat and 2 no. 40 seat classrooms), cellular and open plan office space, a new entrance and atrium off the Business School quadrangle, relocation of existing gas bottle stores, ancillary and roof top plant space. 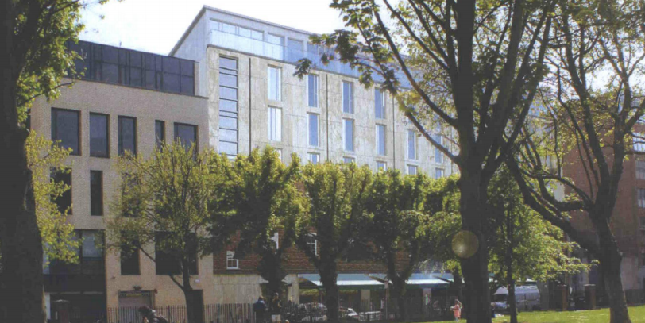 The extension will be located to the west of the existing four storey over basement building on the DCU campus. Description: The Hotel Construction development will consist of: Demolition of existing 3 storey building over basement to be replaced with new 7 storey over basement incorporated into main structure of hotel, to include a new fire escape stairs exiting onto Talbot Street. The basement element includes 115m2 of commercial floor area with 121m2 new deli-restaurant and shop front on ground floor level accessed from Talbot Street. An additional 155m2 of guest accommodation on existing 1st & 2nd floors. 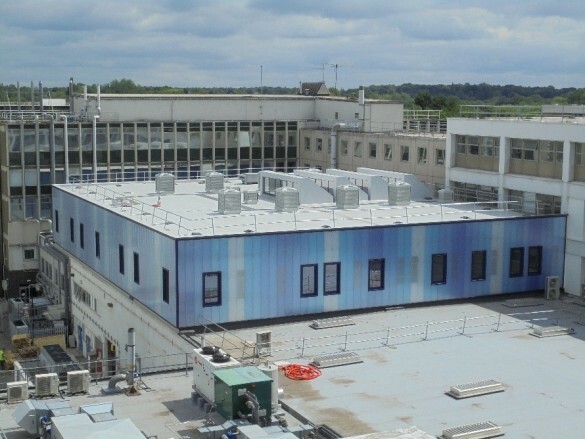 An additional 456m2 of guest accommodation on existing 3rd floor. New 4th & 5th floors with total 2612m2 of guest accommodation. New 6th floor with 1157m2 of guest accommodation together with new 149m2 of roof terrace and room balconies. New stone cladding to replace existing timber at ground floor facade onto Talbot Street, to also include new glazed main entrance and vehicular gates at existing ramp to basement. New stone cladding to replace brickwork at ground floor facade onto Foley Street to include new windows and pedestrian access points. Minor internal alterations to provide new coffee shop at ground floor in place of existing conference rooms, accessible from Foley Street. New stone cladding and curtain wall glazing from third to sixth floor on both Talbot and Foley Street elevations.